This is an ideal schedule and is given for information only, changes may be made on a case to case basis. Newborn kittens depend on their mothers not just for food and warmth, but also for protection against infectious diseases. The first few times they nurse, kittens get antibodies from their mother’s milk that will help to keep them safe for a few weeks to several months. This immunity provided by “maternally derived antibodies” (MDA) are protective for kittens while their own immune system is immature. However, when the anti-body levels decrease before the kitten has developed his/her own immunity, gaps in protection will occur, leaving the kitten susceptible to disease. 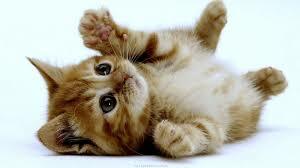 Also while the kitten has high levels of MDA, their immune system will not respond optimally to vaccination. Since we cannot predict for each kitten when MDA has decreased adequately to allow an effective response to vaccination, guidelines have been developed to protect as many kittens as possible against disease by giving a series of vaccinations. An incomplete series of kitten vaccinations may leave your kitten vulnerable to infection, so it is important to follow your veterinarian’s recommendations and vaccinate up to at least 16 weeks of age.